Conservation Partners are an integral part of your Zoo’s mission to “Better the Bond Between People and Our Planet.” Each time you visit your Zoo, you aid in this mission. For every general admission ticket sold, $0.25 is contributed and for every membership $1 is contributed to conservation efforts. 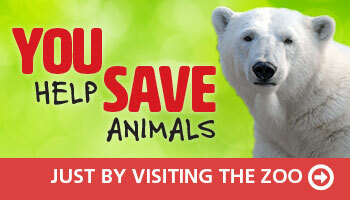 Listed below are your Zoo’s conservation partners. Click the name to learn more about their efforts!